The last days of summer in 2009 found my family and me in a rose garden in Seattle, Washington. These were the early days of September but the final days of summer. 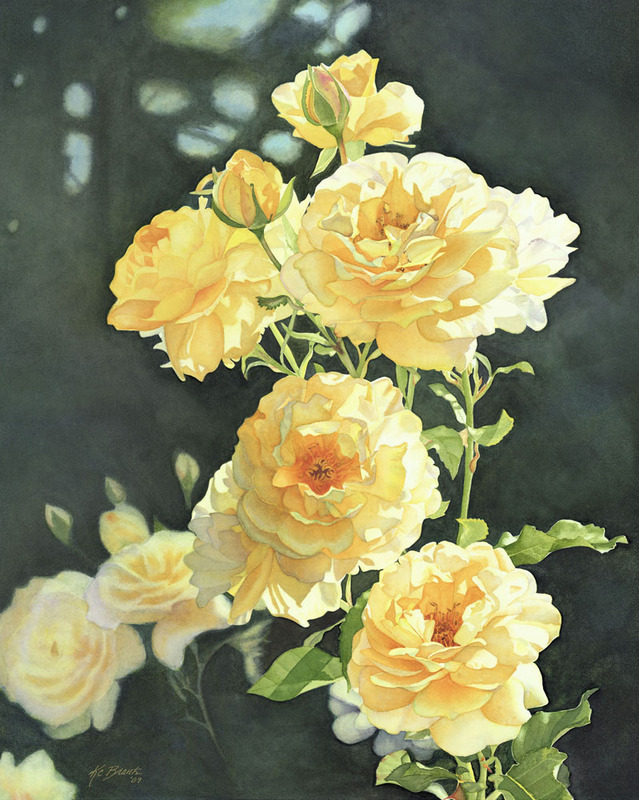 I was moved by the yellow roses bathed in the setting sun. The beauty of the roses’ final days and their brillance in the gloaming light inspired me to capture that magical moment. The bouquet of protea blooms on the ancient slopes of Mount Haleakala on Maui. 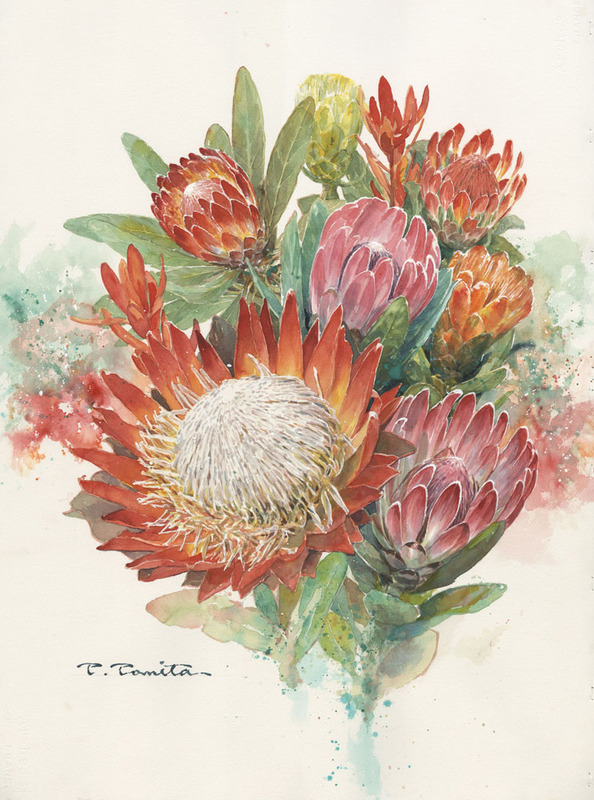 Originally from Africa the protea has found its new found expression in watercolors through the master brush strokes and Asian fusion. 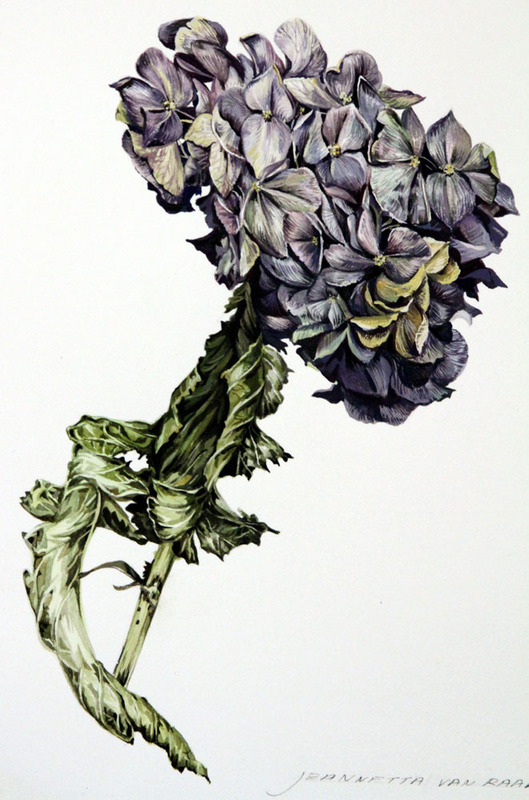 I chose the hydrangea to paint at the stage in its life, after the bloom of the young plant had gone, because it is so beautiful at that time in a different, more subtle way. The range of delicate colors was an inspiration to me and proof that a plant’s beauty can continue even after its youth has vanished. 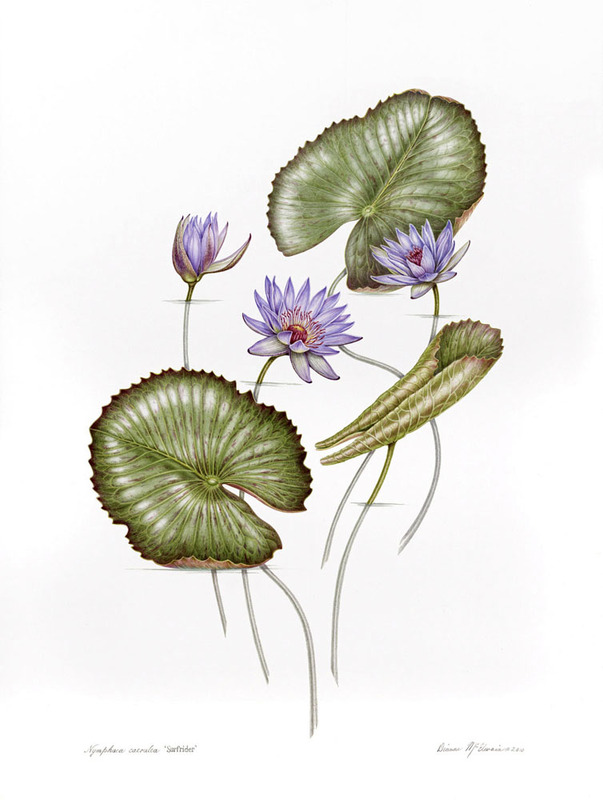 Nymphaea cerulean is a Cape purple water lily actually named ‘Surfrider’. It’s magnificent color is what compelled me to paint it. Water lilies are in constant movement with wind and water and I really wanted to convey this by depicting ‘Surfrider’ above and below the water. 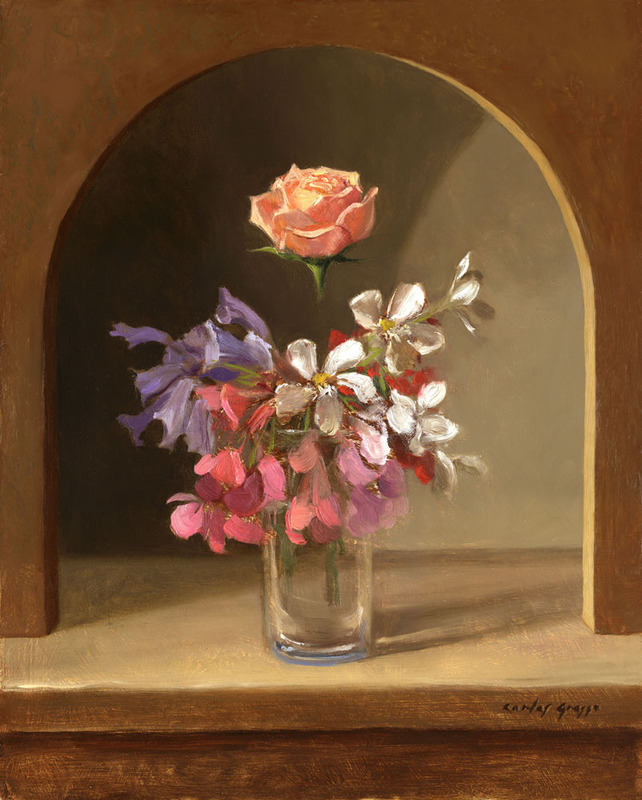 Watercolor is my medium because I can achieve the light, airy, and transparent quality of the flower petals. The more opaque look of the pads is achieved by continuing to build the color and form of the plant to make it more life-like. I used many different colors layered on top of one another to achieve the actual color of ‘Surfrider’. This layout is very graphic but you will notice that I have achieved depth and dimension by simply using different strengths of the color for each flower and pad. I hope you enjoy viewing ‘Surfrider’. I really enjoyed painting it.